From The Ground Up (Hampshire) Ltd - Builder, Landscaper based in Waterlooville, Hampshire. 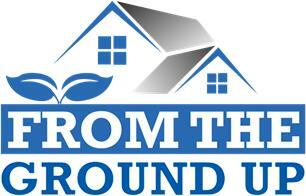 Welcome to From The Ground Up Property Maintenance. We are a highly professional company that prides itself on carrying out a very high standard of work, we always ensure to give the highest quality of workmanship and service. We have been in this line of work now for many years, and have built an extremely professional and dedicated team. We undertake a variety of projects including extensions and conversions, loft conversions, refurbishments and all types of general building. We also specialise in the fitting of Kitchens, including worktops, kitchen cupboards and doors as well as supplying and installing kitchen appliances. We also carry out work outside of the house including all garden brickwork, garden structures, decking, sheds and summerhouses, as well as turfing and hard landscaping. We at From the Ground Up believe our work is second to none and are happy to offer free estimates and quotations, so please call us for any and all property maintenance services. Thank you.